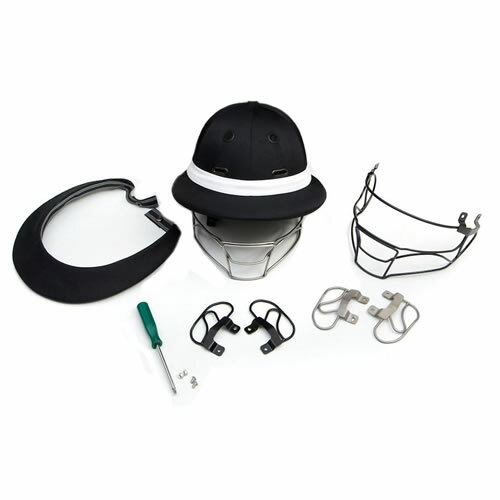 The Instinct Polo Helmet is certified to PAS015:2011 and is available with unique detachable peaks in either Argentine or English style, a 3-point harness with magnetic buckle and a rear adjuster for secure fitting. It has been awarded the Kitemark for its control and manufacturing methods. Tests include impact against both flat and acute angled surfaces and penetration from a sharp object. Furthermore, with revolutionary new materials and a unique design, the Instinct helmet has minimised dangerous recoil after an impact â€“ which significantly decreases the chances of brain damage or concussion. Between two shells â€“ a carbon inner and a specially woven impenetrable carbon composite outer, is a super lightweight aluminium honeycomb core. Unlike EPS it retains no heat and has no recoil. It crushes uniformly down to a fraction of its size â€“ absorbing and decelerating impact as it does so. The size and shape of the traditional polo peak has created a significant danger to players due to its distance from the spine and the extra leverage created. Flexible peaks can only lesson this risk. However the Instinct helmet has a unique removable and crushable peak which on impact actually cushions a fall and reduces the forces of an impact. In a moving accident the peak will detach further reducing the chances of neck injuries. Everything inside the helmet can either be washed or wiped clean. 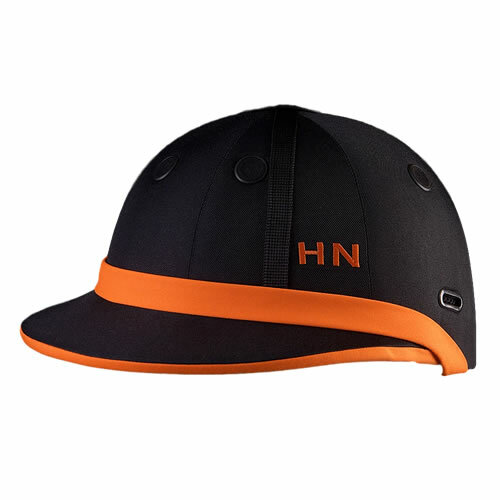 The padded headbands come in three thicknesses and are made from a super soft sponge covered in Coolmax material. By choosing the correct headband, the adjuster at the back and the three point harness, a tight fit is always assured. Initials Details Please detail the initials required (up to 3 chars) and any font and thread colour preferences.